In today’s technological age, having videos to promote your small business is essential. They do not only portray what your business is about, but can be used to engage with your consumers. No longer are you able to simply grow your business through word-of-mouth marketing. According to Hubspot, customers who watch videos are 1.81 times more likely to make a purchase, and 4 times more likely to watch a product video rather than read about it. With most small businesses on a tight budget, there is a need to record and create videos in-house instead of outsourcing. If you own or work for a small business, follow these essential steps for creating a professional video. Before you start diving right into filming, you must first decide on your video topic. Is it going to be a general video about your business and mission? Do you want to highlight one of your services? Other topics you can film include customer testimonials or product demonstration. For example, if you are a software company, you can do a demo on how to install your software. After deciding on your topic, you need to write a script and create a storyboard. Writing a script is self-explanatory. When script writing, make sure to have a section describing your website and/or social media profiles. With the storyboard, script, and video topic complete you’re now prepared for shooting your video. Most small businesses use a DSLR camera to tape their professional videos. The most reliable camera brands are Nikon and Canon. 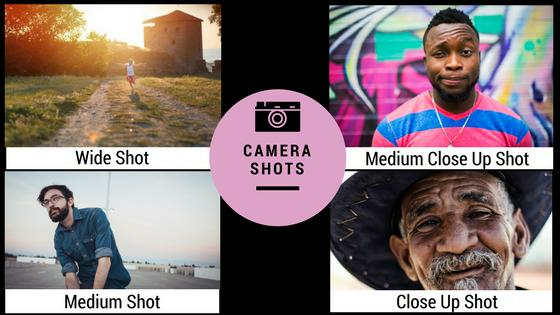 These types of cameras provide many customizable features you can play with, such as a choice of Auto or Manual Mode, light exposure levels, and shutter speed. The DSLR camera clip quality is usually known to be much higher than a cell phone. To complement the camera itself, you need some accessories. If you’re using a cell phone to tape, you want to make sure your sound is clear and crisp by using a lavalier microphone. There are lavalier microphones, such as Miracle Sound, that are specifically made for smartphones by allowing you to just plug into the headphone jack. For DSLR cameras, you will definitely need a tripod, lens filters, and an external flash. The external lighting especially helps when you are taping under fluorescent lights or in dark rooms. Lens filters are useful if you are filming outside in the sun. Just like with tapping on a phone, a DSLR camera requires a set of lavalier microphones with receivers for excellent sound. With your camera equipment and visuals ready, you can finally begin recording! Make sure you set aside plenty of time to film and allow for reshoots, if necessary. While filming, keep in mind the lighting, camera shots, and angles. If the lighting is off, remember to either use your external flash and/or lens filters to get it just right. *Filming Note: Always make sure to have extra camera batteries, SD cards, and portable chargers on hand. With shooting complete, editing can begin. Be sure to have a reliable video editing software. Adobe Premiere Pro, Camtasia, and Corel VideoStudio Pro all come highly recommended. These software programs are easy to learn and use, even for beginners. Before editing, make sure the video dimensions match the requirements of the site where you will be posting the content. For example, if you’re posting to YouTube or Facebook, dimensions should be 1920 x 1080. During this process, there are a few things you can do to make your video look professional. Use simple clip transitions, like dissolve, instead of something bolder, like a cube spin. You don’t want the viewer to become distracted by effects. Ensure the audio is clear and free of background sounds by using the noise removal tool. Add a business logo watermark. It is usually placed in one of the corners. Have an introduction and conclusion title slide that highlights your business, website, and any social media accounts. After you’re done editing, export your video file to either .AVI or .MP4 format. Your video is finally complete! It’s time to publish and share it with your consumers. Make sure it is posted to all of your social media accounts, as well as your website. Paid promotion and boosting on social media are great ways to reach customers. It will allow them to get a sense of what your business is all about and encourage brand engagement! By following these steps, you will blossom from a video amateur into a true professional! 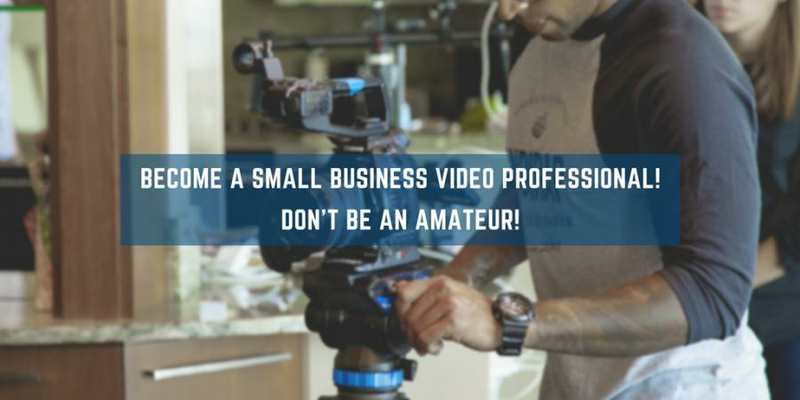 As you create more videos for your small business, it will become easier and your business will be booming in no time. Holly Zink is a Digital Marketing Specialist and Blog Administrator for multiple technology-related sites. She often writes about the latest technology updates and news, as well as providing marketing tips for businesses. Visit her blog at www.safeguarde.com for more tips on helping your small business thrive.